► Help with degree application procedures. ► Degree and certificate requirements. ► Help with degree and certificate application procedures. ► Degree and certificate application status. ► Diploma and certificate status. ► How departments can submit graduate student awards for booklet (e-mail). ► General questions unrelated to degrees and diplomas. ► Departments submitting undergraduate student awards for booklet. ► Special-needs planning (barrier-free, assistive listening, large-print programs). ► Advisory role in commencement planning and related activities. ► See Submit Student Awards for guidance with departmental and program awards. ► For bachelor's department awards questions, contact the Academic Affairs Office. ► For master's degree and certificate of advanced study department awards questions, contact the Graduate School. 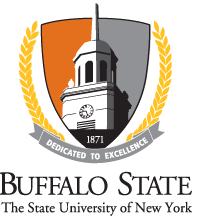 ► See President's Medal and SUNY Chancellor's Award for Student Excellence page. ► See the Student Leadership and Humanitarian Awards page. ► See Current Student Awards.